Sarah holds degrees in cultural anthropology, history, political science and English. She has served on the Pennsylvania Association for College Admission Counseling (PACAC) Planning Commission, the Supplemental Education Service Provider Board and the Alternative Education Committee for the State of New York. Her broadly based exposure to educational programs and approaches allow her a distinctive proficiency for helping clients meet their educational and personal needs. She has 10 years' experience in higher education test prep tutoring and has worked with thousands of students. Sarah's primary tutoring experience is in SAT/ACT, LSAT, GRE, MCAT verbal reasoning, and GMAT prep. In 2012 Sarah scored a 178 on the December LSAT, in Fall 2013 Sarah scored a perfect LSAT 180. At the October 2012 SAT Sarah scored in the 99th percentile. Her 2011 ACT came back with a perfect score of 36. Sarah keeps up to date on test questions and evolving test company methods by regularly sitting for the tests she offers tutoring for. Her primary mission is to help students navigate successfully through their academic careers while exploring their educational and career options. She has experience working with students as young as 8 and as old as 63. Whether you are a gifted student or a struggling student - she can help bring calm confidence to your test day. Rate details: Ask me about my group rate pricing! My strength in tutoring elementary students is my ability to break down complicated assignments and ideas into their simplest parts so that they suddenly become manageable. I hold several higher education degrees from both SUNY Buffalo and Penn State University. In addition I was awarded 'honorary teacher of the year' for my work with the BPS district's after school program and summer remediation program in grades K-8. I was awarded 'honorary teacher of the year' for my work with the BPS district's after school program and summer remediation program in grades K-8. What qualifies me to teach SAT Reading? Well, I'm proud of my resume: I have spent years working in and around the test prep corporate culture. I have personally sat for the SAT (2012, being the most recent) and I scored in the 99th percentile. Any student could achieve a perfect score if they had unlimited time to sit for these tests, sadly they are timed. However, this does not mean that you cannot improve your score-- because you can. The SAT Reading portion does not need to be a stressful experience for anyone, including the parents. I have multiple B.A. degrees from Penn State University and I attended SUNY Buffalo for a M.A. degree in cultural anthropology. I have successfully generated hundreds of business materials, including reports, letters, proposals, presentations, press releases, memos, reviews, manuals and (of course) research papers. I have a skillfully designed and produced material for newsletters, brochures and flyers. Authored first-rate essays and articles for publication. I am enthusiastic and creative with tremendous integrity and common sense to share. I earned a M.A. in Anthropology from SUNY Buffalo. I researched religious moments for a degree in cultural anthropology (a branch of anthropology focused on the study of cultural variation among humans). I taught 3 semesters of intro to anthropology courses at a small community college in Upstate New York, before moving to the Houston, TX area. I spent five years of my professional life performing college counseling duties in the states of New York and Pennsylvania. I served on the Pennsylvania Association for College Admission Counseling (PACAC) Planning Commission and on the Alternative Education Committee for the state of New York giving me a broad understanding of college admission processes. I am further qualified in college counseling due to my years spent tutoring high school students preparing for their SAT/ ACT. I have extensive experience prepping tutoring students for their MCAT. I have multiple B.A. degrees from Penn State University and I attended SUNY Buffalo for an MA degree in anthropology & an MFA in writing. The MCAT is a 7.5 hour exam that consists of four sections: Biological and Biochemical Foundations of Living Systems; Chemical and Physical Foundations of Biological Systems; Psychological, Social, and Biological Foundations of Behavior; and Critical Analysis and Reasoning Skills. I am familiar with the newest changes made to the MCAT & have a great track record of consistent score improvement. My approach is not only to improve scores through content review but also to foster a sense of confidence through proven test-taking strategy. My academic background includes English, history, political science, physics and, anthropology—all subjects requiring the skill-set of problem solving, critical thinking and written analysis. My 10+ years working in the test-prep industry has further honed these abilities, because of my education and work background I am fully capable of being an excellent MCAT tutor. I have collected a suite of tutoring materials based off of actual test questions; these questions form the foundation of my tutoring program, allowing me to review test strategies in a realistic manner. Sarah is awesome. She has patience and is always on top of the subjects that need reviewing and is very thorough. I would recommend her to anyone. We took our first SAT since working with her and scored an additional 100 points. We are not quite at our goal but 100 points goes along way toward getting to our goal. Sarah is an amazing teacher who helped me to set up a plan to study for the LSAT. Thanks again! I've had about 2-3 lessons without a Sarah and I love her. She's super flexible and breaks down the LSAT in a way more easier way than my LSAT prep books have done. I am definitely going to keep her around for the long run! Very Patient and Professional. I Highly recommended Sarah! With two sessions with my son Sarah helped him to prepare and pass his math GED. She met us on short notice and met with him for double sessions. Sarah made him feel very confident so when he walked in the door he knew he could do this . He took his test the next day and passed the math part. Great communication to get everything set up . I would highly recommend Sarah to anyone seeking a professional tutor. Many thanks from Ben. Sarah was great. My daughter finished her first session with Sarah and immediately asked when her next session would be. My daughter loved how Sarah was so patient and kept things interesting. Sarah is very knowledgeable and helpful. Always easy to get a hold of. My Son has a better knowledge of information to take his GMAT. Highly recommend her. Sarah has now worked with two of my children on prep for SAT/ACT. 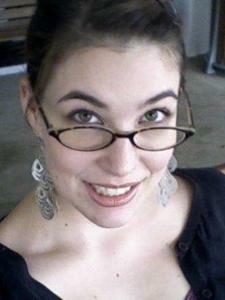 We all like her and believe her tutoring is beneficial. Sarah helped our daughter with her personal statement and she did a great job. Her inputs are concise and insightful. She included her original handwritten editing (scanned) as well as a more readable MS Word version as attachment in the returned email. Very nice and punctual tutor! Sarah is a very intelligent and patient tutor. My daughter was delighted with her. She is such a sweet person that I felt very comfortable with. Sarah was on time and prepared with the material. We will definitely call her back.